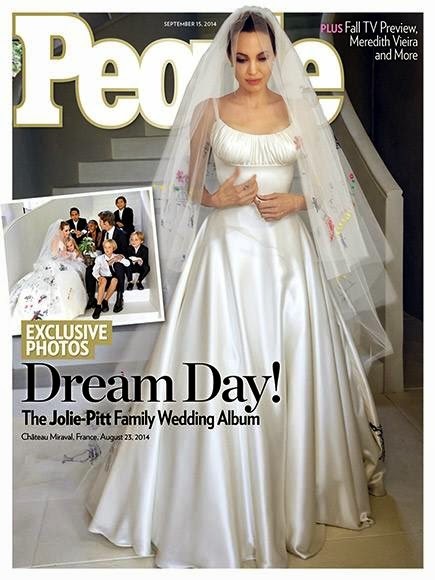 It's Angelina Jolie’s wedding dress from her recent wedding to Brad Pitt, just released on the cover of People magazine. People is the sister publication of Australia's WHO magazine. They’re pictures drawn by her kids! How cute! Have a look at the Hello! magazine cover for more details on the gown. Take a look at that passionate kiss! Congrats #Brangelina and brood!